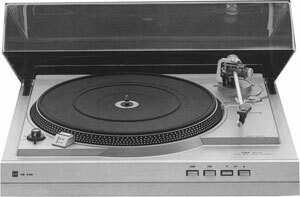 I have a nice Dual CS528 vinyl record player that I had fixed and tuned up a couple of years ago. Last night I listened to the second side of “Fragile” by the group YES. I tried to get Eva to listen to it, but she doesn’t relate to the music I grew up listening to. So I dimmed the lights, laid back and enjoyed it myself. After about 30 minutes the arm lifted up and went back to it’s starting position and turned off. What I love most about listening to a vinyl record is the feeling of temperance and appreciation for the artistry. I’m sure I’ve downloaded hundreds of hours worth of flac’s and mp3’s, all of which get dumped into a program and just play on and on. Lately I’ve downloaded Flac files that were professionally recorded from “1st press Vinyls” and sound very close, but still something seems to be lost. That one small part that demands your attention a little more and keeps you from over-consuming. Even putting the record back into the sleeve and putting the album back into it’s rightful place on the shelf is part of the enjoyment that has been lost. Each artist, of whose work I actually paid for in the past gets some of my time and attention with vinyl. I suppose there’s something to be said of that. I believe less quantity and more quality is a good philosophy. Temperance in all things. This entry was written by Matthew Rossiter, posted on May 6, 2011 at 9:00 am, filed under Nebula. Bookmark the permalink. Follow any comments here with the RSS feed for this post. Post a comment or leave a trackback: Trackback URL. It’s important to get your testimony that God lives.